If you want to impress during this holiday season then “Tony” from Glam Dreams is the suit you must wear. It is a startling, dark colored suit with a classy bow tie and an elegant jacket handkerchief. The color and crisp lines of this suit draw the attention of anyone seeing it and lend an air of quiet authority to the man wearing it. It will take you anywhere from a dinner out at a 5 star restaurant to the theatre and the after party later. Dress to impress gentlemen! 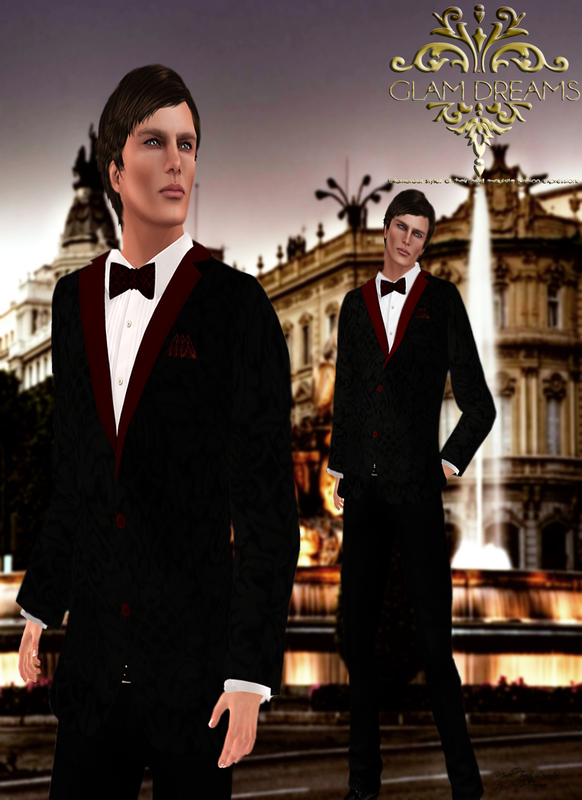 Glam Dreams “Tony” is a mesh suit consisting of Dress Pants, Jacket (with shirt), bow tie, belt, a Jacket Handkerchief and sleeve cuffs with a resizer.